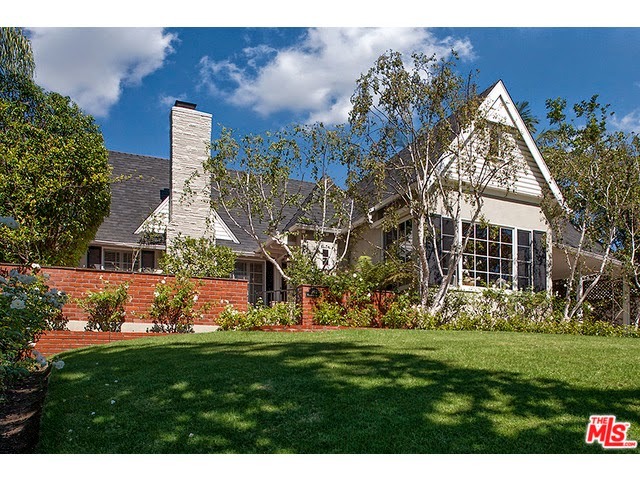 The Westwood Real Estate Market Blog: What Did That Westwood Little Holmby Home Sell For At 863 Manning Ave? What Did That Westwood Little Holmby Home Sell For At 863 Manning Ave? What Did That Westwood Little Holmby Home Sell For? The Westwood Little Holmby home at 863 Manning Ave, LA CA 90024 lasted about 27 days on the market before accepting an offer on 10/28/14. The home first hit the market back in August for $2,595,000 and received an offer in the first couple days. However, the buyer decided to back out before doing any inspections and the owners then pulled the home off the active market. Then it was re-listed on 10/2/14 for the same offering price and the owners accepted an offer within the first month. This home has been remodeled in the past and is in a move-in type condition. To me it looks like those kitchen/bathroom updates were done +/- 15 years ago or so. So not the latest and greatest, but nice. I really like how the home sits way back from the street on a little knoll. This provides privacy and lots of light. However, that comes at a sacrifice to the backyard, as there is very little of it. Just a small patio for outdoor dining and entertaining and a patch of grass. On 12/23/14, 863 Manning Ave closed about 1.16% under the asking price at $2,565,00 |$901 $/sf|. According to the MLS, the home is 3 bedrooms/ 3 baths, 2,848 sf of living space on a 9,749 sq ft lot.